For businesses whose revenue relies on inbound calls, one abandoned call at the sales group is too many. 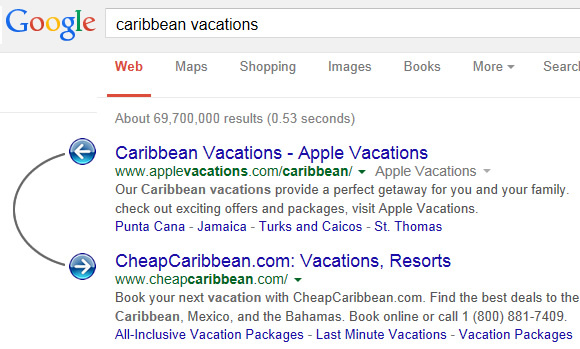 Some businesses even apply a monetary value to each abandoned call as it potentially equates to lost revenue. The example below is a reminder of how quickly a potential customer could find an alternative supplier if they gave up waiting for the first company to answer their call. 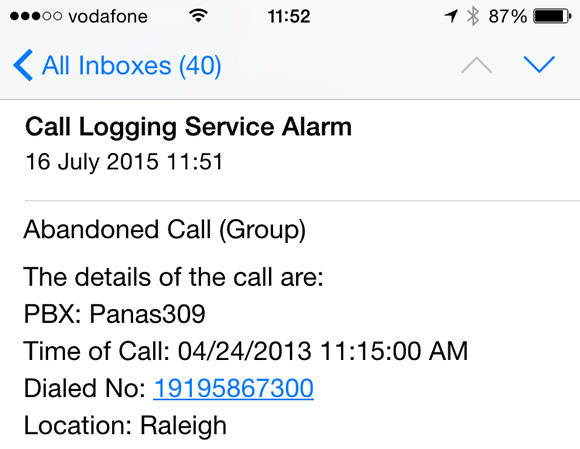 Office Solutions ‘abandoned call alerts’ could avert this unfortunate outcome. We define an abandoned call as one where the caller hangs up before their call is answered. 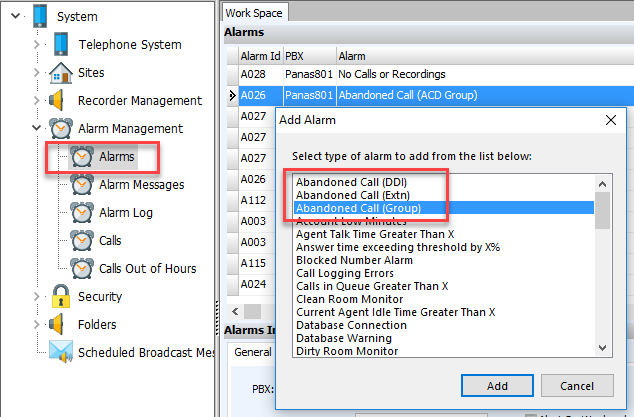 Call Alerts are sent via email and can be triggered for abandoned calls at telephone system group, DDI/DID or extension. 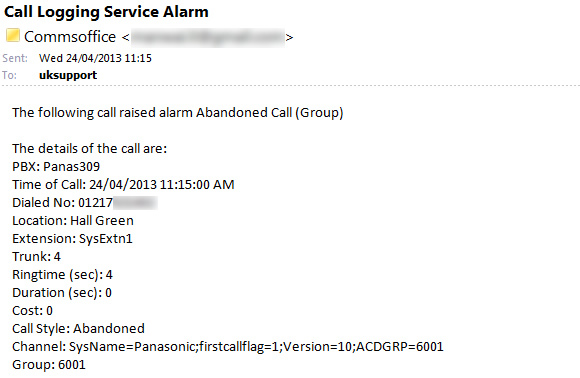 In the example above, a call abandoned at the main group would increment the ‘abandoned call at group’ tile on a wallboard and would send out an email to internal staff providing relevant information about the call such as the callers number (if presented), the group called and the ring time. If alerts are set up to be sent to smartphone users, the number of the caller who abandoned would normally be recognised by the phone’s software and displayed as a clickable link making it easy to click to call. 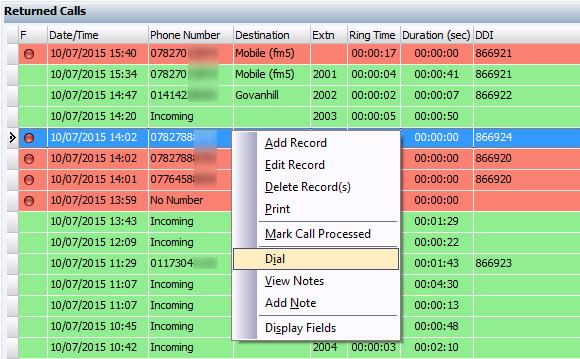 The returned call screen is accessible from the top right of the Today screen and provides a simple view of the days calls. The abandoned calls are highlighted in red and remain red until either that number is dialled and successfully connects, or the outside party calls in again and successfully speaks to a member of staff. Extension users who have the Office CTI client will be able to right-click on a number to dial. Multiple alarms can be set-up from within System | Alarm Management | Alarms.